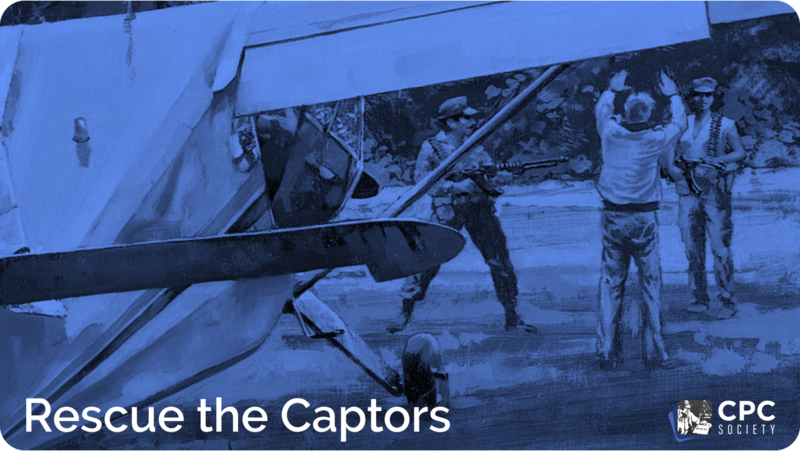 American bush pilot Russell Stendal, on routine business, landed his plane in a remote Colombian village. Gunfire exploded throughout the town and within minutes Russell's 142 day ordeal had begun. 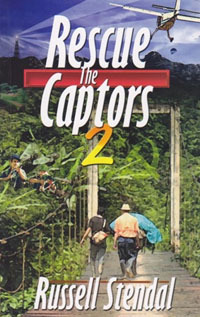 The Colombian cartel explained that this was a kidnapping for ransom and that he would be held until payment was made. Held at gunpoint deep in the jungle and with little else to occupy his time, Russell got ahold of some paper and began to write. He told the story of his life and kept a record of his experience in the guerrilla camp. His “book” became a bridge to the men who held him hostage and now serves as the basis for this incredible true story of how God’s love penetrated a physical and ideological jungle. Can two arch-enemies reconcile? One man found they can if someone will demonstrate grace, mercy, and faith. 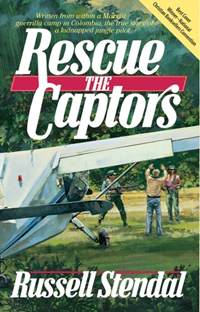 Rescue the Captors II follows on the heels of Russell’s first book, Rescue the Captors I which was written to his captors while they held him hostage for five months in the jungle of Colombia. Who feels like showing love to angry guerrillas holding him hostage, threatening his life, and demanding magnificent sums of money? Russell did just that as God showed him that he was actually no better than those thugs. He needed to offer them the same Hope Christ would have. Showing love during a hostile hostage situation threw open doors of ministry to rebel Colombian guerrillas and paramilitary. Russell's missionary work persuaded these opposing forces to reconcile their differences, forgive one another, and resolve to let past differences go - resulting in one group even providing material relief to their long-time enemies! The movie La Montaña (The Mountain) is based on this true story. God is moving in the hearts of powerful leaders in all the Colombian fighting factions, and peaceful meetings are now taking place in Havana, Cuba. Marxists guerillas, right-wing paramilitary, and the Colombian government each have their own agenda. Who would have guessed a meeting of the minds would take place under the helpful auspices of communist Cuba? And that these battle-scarred leaders would give reporters and missionaries the opportunity to challenge some of their core philosophies and even pray with them? During the often intense negotiations, it becomes obvious that even the most hardened individuals can have a change of heart. Previously seen only as men to be feared, these powerful leaders are now turning to the only one who can provide lasting peace – the Lord. The Stendals have witnessed Army generals having daily prayer and distributing Bibles to their troops, guerrilla commanders requesting and receiving prayer for healing, paramilitary commanders asking their many victims, one by one, to forgive them, and many other powerful demonstrations of what the Lord does through those willing to love their enemies. God’s agenda is winning, and we watch in awe.